Imagine holiday music playing in the background, a glass of champagne, red wine or a mug of hot chocolate – everybody all together – laughing, having fun. That is the beauty of the holiday light tour – especially with AZ Sedans in our beautiful fleet of vehicles. Gifts wear out, get lost or broken – but experiences last a lifetime. 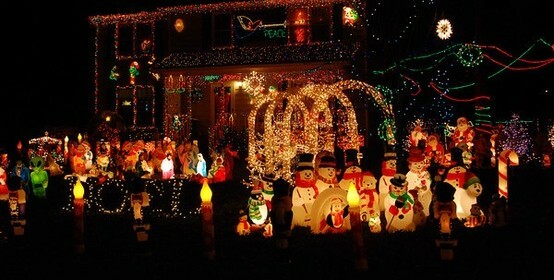 Plan your holiday light tour now! Arizona Celebration of Lights – 7,000,000 holiday lights and 300 animated and still designs thru 1/6/13 – cost $15 to $20 per vehicle – located at 99th Ave and loop 101 (Thomas) – best driving options! discounted pricing only available if you live 0-40 miles away from our office 2810 S. 24th St Ste 118 Phoenix, AZ 85034 – 41+ miles 4 hour minimum and drive time will apply – call for details.